The cardiostrong bike exercise bike BX30 is a reliable partner for starting a regular training as well as for losing weight. The saddle is comfortable and use is quite easy. 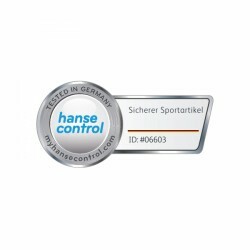 Tested by the independent Hansecontrol certification company regarding quality and safety and rated as good! 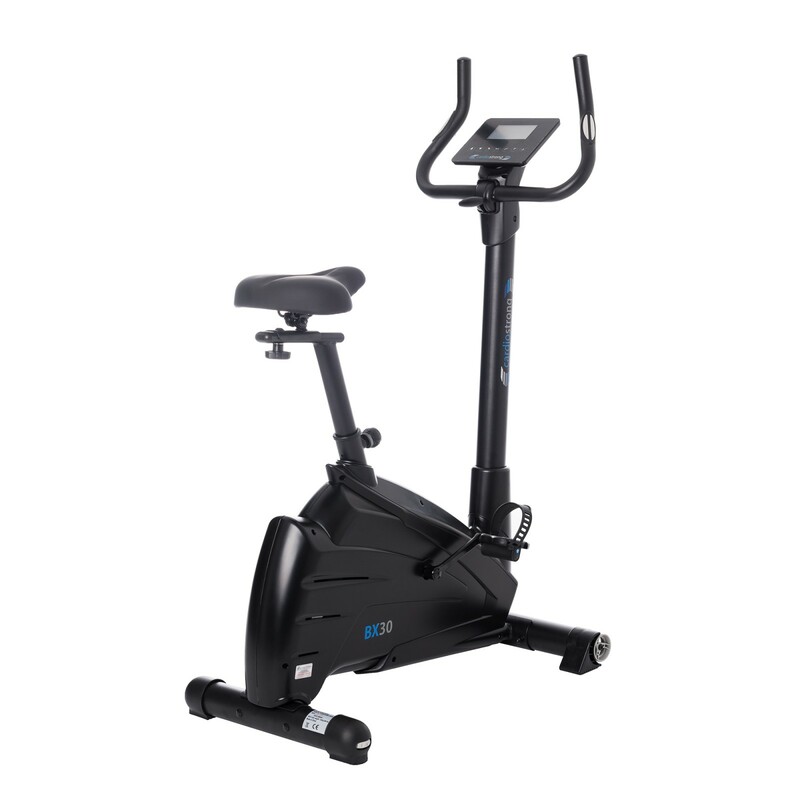 During a test for exercise bikes of the trade journal Fit for Fun (12/2015) the cardiostrong BX30 became the upright bike with the best price-performance ratio. 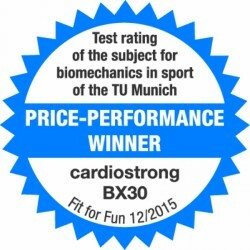 The cardiostrong exercise bike BX30 was tested and certified by the independent Hansecontrol certification company GmbH regarding safety and quality. Thus it is guaranteed that this fitness equipment fulfills the strict legal regulations for safety and quality and it partially significantly surpasses it. The cardiostrong exercise bike BX30: approved cardiostrong quality! Like all fitness equipment of cardiostrong, high-quality workmanship and versatile equipment are in the main focus of the cardiostrong exercise bike BX30. The cardiostrong exercise bike BX30 is very sturdy and a reliable training partner even for regular workouts. The 9 kg balance mass and electronic magnetic brake system of the cardiostrong exercise bike BX30 ensure a harmonic, comfortable course of movement. The resistance can be varied in 32 levels - even experienced sportsmen can improve their performance with the cardiostrong exercise bike BX30. The cardiostrong exercise bike BX30 is equipped with 19 training programmes for lasting motivation. 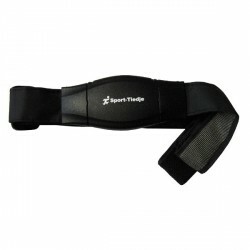 Four of it are pulse controlled for a very effective workout - adapted to your fitness. 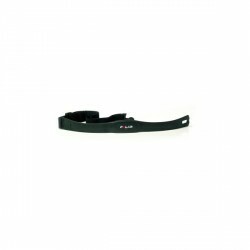 Heart rate is measured by hand pulse sensors integrated in the cardiostrong exercise bike BX30 or an optionally available chest strap. Start your workout with the cardiostrong exercise bike BX30 quickly and easily with the easy-to use training computer. The LCD display informs about data like speed, pulse, etc.. The cardiostrong exercise bike BX30 allows the best possible control of your workout. Saddle and handlebars of the cardiostrong exercise bike BX30 can be perfectly adjusted to your height and preferred training position. The equipment of the cardiostrong exercise bike BX30 is completed by practical transport wheels. Super blij met deze aanschaf en met de installatie. Hij fietst lekker en maakt weinig geluid, dus stoort de huisgenoten niet. Neemt weinig ruimte in beslag, wat erg fijn is voor een kleinbehuisde. 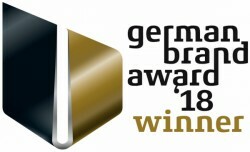 Zeker een aanrader! Great bike with a good selection of programs and settings. The assembly process is simple enough with parts all laid out and labelled for ease. Monitor has connectivity to a chest hear rate monitor. Useful feature would be the ability to download workouts. Great value for money. Great value for the money. Seems very well built. Some details about the interface for the exercise selection could be improved/added which would elevate the whole experience. In general I am very happy. cardiostrong exercise bike BX30 add to comparison list.